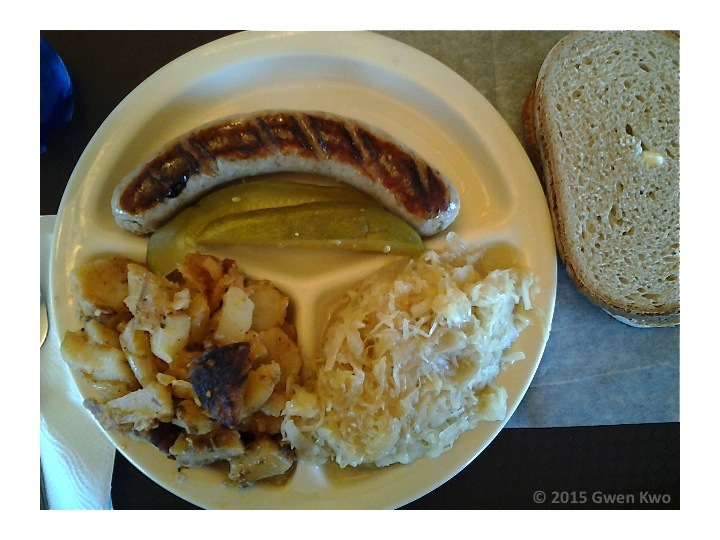 This bratwurst lunch from the local German market/cafe was almost good. The sausage was fresh and the rye bread was homemade. But I don’t believe the other half was that authentically German, which was a disappointment. Isn’t it better to serve something of good quality all around? So it is with website copy. Take a look at the 13 examples of bad Web copy in this article from WebdesignerDepot.com. Avoid these mistakes. Serve up something authentic and of good quality: Use a good copywriter. Categories: Copywriting, Design, Marketing, Writing | Tags: bad Web copy, bad website copy, copywriter, German food, WebdesignerDepot | Permalink.